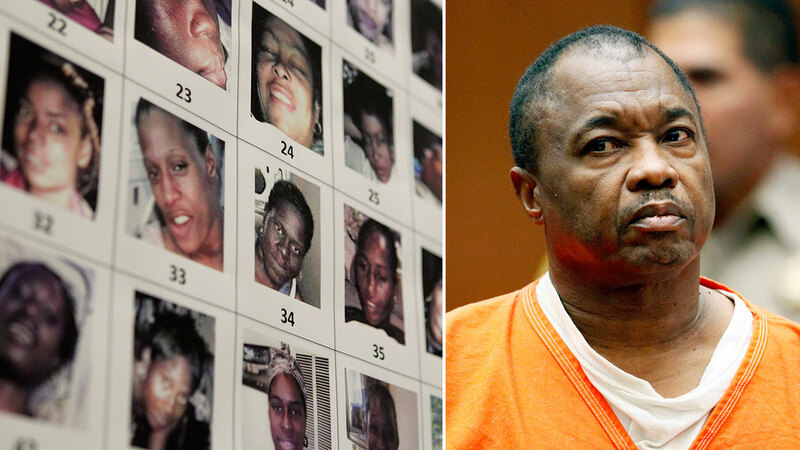 Lonnie David Franklin Jr., also known as the 'Grim Sleeper,' appears in Los Angeles Superior Court. LOS ANGELES -- A jury has returned a death sentence for a serial killer known as the "Grim Sleeper," who murdered nine women and a teenage girl over several decades in South Los Angeles. The verdict Monday came nearly a month after 63-year-old Lonnie Franklin Jr. was convicted of 10 counts of first-degree murder. He will be formally sentenced at a later proceeding. Most of the killings fit a similar pattern. Victims, all between the ages of 15 and 35, were either shot in the chest, choked - or both - and their partly clad or naked bodies were dumped in alleys and trash bins near where Franklin lived. Police didn't connect the crimes to a serial killer for years. The "Grim Sleeper" nickname came about because of an apparent 14-year gap in the murders between 1988 and 2002. Franklin was arrested in July 2010 after his DNA was connected to some crime scenes. Victims' family members and community residents complained the killings weren't thoroughly investigated because victims were poor and black, and some were prostitutes who had been using cocaine.